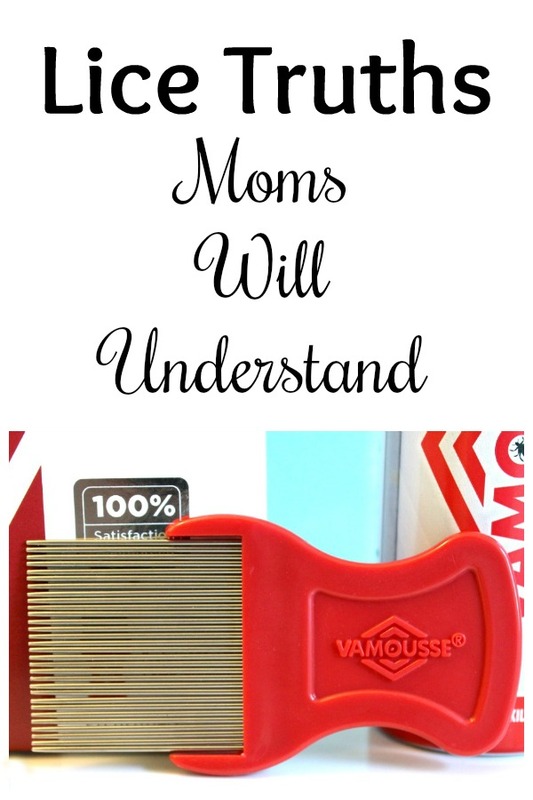 This post on Lice Truths Moms Will Understand and giveaway are sponsored by Vamousse. Back to school time is rapidly approaching and the anxiety of mothers everywhere is rising. Booking needed appointments, buying the list of school supplies, and wondering how much back to school clothes the budget can afford. Oh, and then there is the oh so real possibility of those lice notes starting to come home. We’re going to take away the anxiety of head lice today. Breathe in. Breathe out. Now, get ready to laugh at some of these lice truths moms will understand and enter to win a prize pack that will help you avoid and/or tackle head lice! If you’ve ever tackled a case of head lice you may suffer from what I like to call Post Traumatic Lice Disorder. Symptoms include finding yourself staring at people’s heads more often and flinching every time your child itches, in addition to #1 above. All four of my kids have had lice at some point. Their friends have had lice. My siblings and I have had lice. You see where I’m going. According to the Centers for Disease Control and Prevention, lice infestation is the second most frequent health issue for school-age kids in the U.S. Second only to the common cold. The CDC also states that between 6-12 million US kids between the ages of 3-11 years old get head lice each year. So yeah, that’s pretty common if you ask me. We’ve all heard about “super lice” and how easy it spreads and how hard it is to tackle. You may have even heard that over-the-counter lice treatments aren’t as effective. False. With newer non-toxic, pesticide-free solutions like Vamousse, we can grab innovative ways to tackle super lice right off the shelf at Walmart, CVS, Walgreens, Rite Aid, Kmart, and more! Clinically proven effective against pesticide-resistant super lice, Vamousse Lice Treatment uses a physical mode of action to dehydrate lice and eggs by contact, to end an infestation FAST. Vamousse offers a full range of safe, non-toxic head lice control products for the family and home for treatment and daily use. The best part about Vamousse Lice Treatment is that it is proven to kill lice and their eggs in a single treatment. Yes, that includes super lice! You see, super lice have become resistant to two major pesticides found in many OTC lice treatments – permethrin and pyrethroids. Vamousse doesn’t use those. Natrum Muriaticum (sodium chloride) is the active ingredient in Vamousse Lice Treatment that kills lice and their eggs. In a safe non-toxic way that smells good too! This daily shampoo defends against head lice and was shown in lab studies to kill lice with regular shampooing. 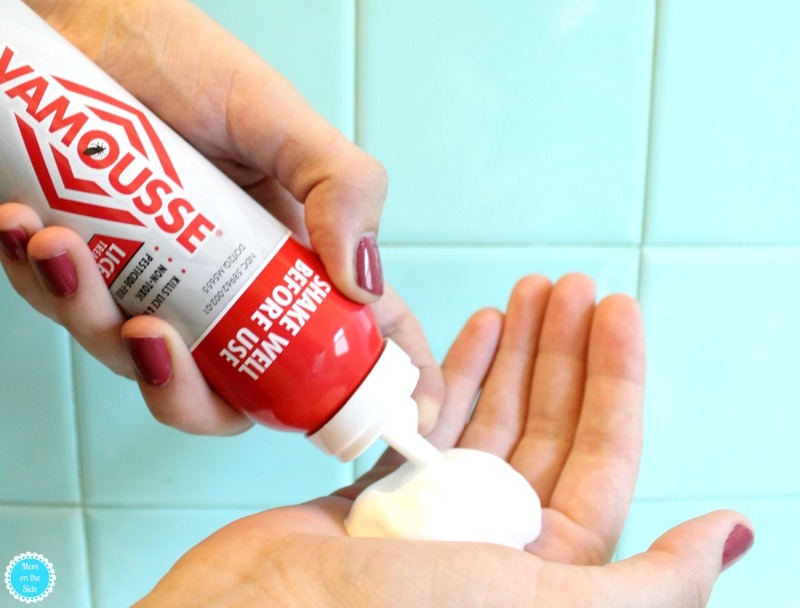 When that lice letter comes home from your child’s classroom Vamousse is a great option to keep them away and something to keep on hand in the closet as back to school approaches. If you like to be proactive against lice, this is great for daily use before outbreaks even occur. This spray is made with essential oil and repels lice and deters them from even laying eggs. Great for using year-round as part of the before school routine. Washing the sheets, vacuuming the rugs and couches and mattresses is all part of tackling a lice infestation. At least it was in our house. The Vamousse Lice Elimination Powder shakes on and vacuums up for a great home cleaning aid for non-washable items. It eliminates lice and dust mites on contact so you can think of it as the final step in cleaning your home after treating an infestation, and a little extra peace of mind. 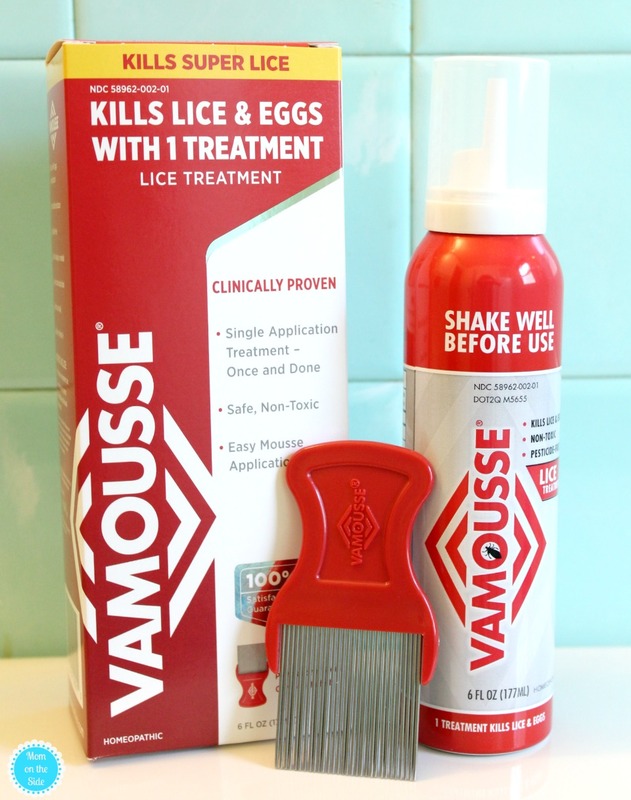 Safe, non-toxic, and pesticide-free, Vamousse Lice Treatment is a clinically proven way to kill lice and eggs in one shot. Even better, it’s an easy-to-use mousse that is precise and rinses easily. This lice treatment kit includes mousse and a nit comb so you can get the job done. 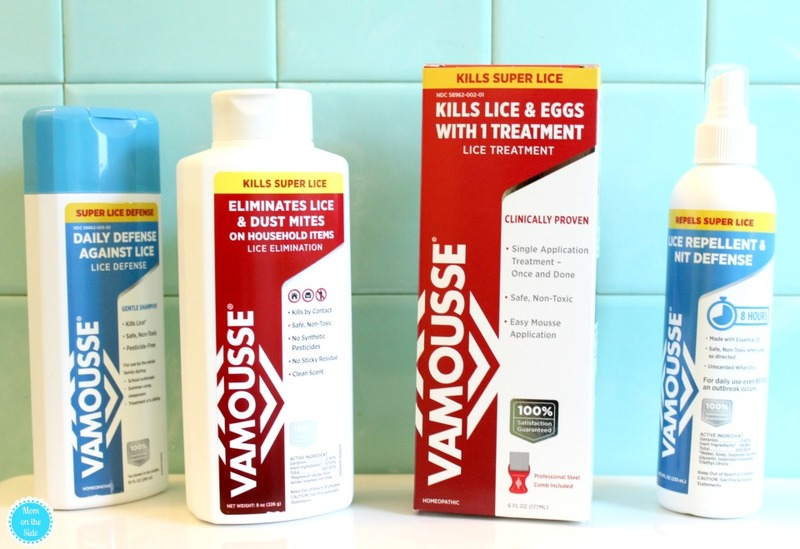 Thanks to Vamousse, one lucky reader is going to WIN a prize pack that includes (1) 4oz sample of Vamousse Lice Defense Daily Shampoo and hair accessories! Compensation was provided by Vamousse via Momtrends. The opinions expressed herein are those of the author and are not indicative of the opinions of Vamousse or Momtrends. Thankfully, I’ve never had a lice problem.